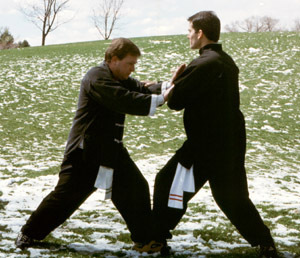 If you can't do Push Hands -- you can't do Tai Chi. using the buttons on this page. the Buddha Kung Fu website. Wear tennis shoes, Kung Fu clothing, or sweat pants and shorts without logos or artwork. Kung Fu Clothing can be purchased online from Shaolin Chi Mantis KUNG FU STORE. Evolve your mind and body. Go to Buddha Kung Fu for the UNLIMITED RATES! © 2014 shaolinRECORDS.com All rights reserved.